The HEMORR2HAGES Score was developed using ICD-9 data; while we are actively reaching out to its study authors, the terms included in the score are not defined in the study. Consider using the HEMORR2HAGES score to stratify patients’ risk for bleeding after anticoagulation for atrial fibrillation in conjunction with situation specific risks/benefits. The HEMORR2HAGES score was developed to quantify the risk of hemorrhage in patients with atrial fibrillation on anticoagulation and to aid in the management of antithrombotic therapy. Combined hemorrhage risk factors from three previously existing clinical prediction rules to form the HEMORR2HAGES mnemonic. Validated the score by retrospectively applying it to a cohort of patients from the National Registry of Atrial Fibrillation database. Scoring system consists of eleven criteria, one of which (history of prior bleeding) is worth 2 points, while the other ten are worth 1 point each. For the basis of comparison to other bleeding risk schemes, patients with a score of 0 or 1 were classified as low-risk, 2 or 3 intermediate-risk, ≥4 high-risk. Study found that the number of bleeds per 100 patient-years of warfarin increased as their HEMORR2HAGES score increased. For patients on warfarin, study found that HEMORR2HAGES was more discriminatory compared to the other schemes. Degree of hemorrhage was not examined in the study; all study patients with ICD-9 codes for active hemorrhage in any location were included. The genetic risk factor was included in their score, but not actually tested in their cohort of patients. There were variable definitions of hepatic or renal disease, thrombocytopenia depending on the state in which the patient lived. All data was obtained retrospectively, via chart review and ICD-9 codes. Events occurring outside of the hospital or coded incorrectly were not included. Anemia, malignancy and uncontrolled hypertension were included in a patient’s score if they were entered in as ICD-9 diagnoses, regardless if they were clinically important or not (e.g. distant history of cancer which has been in complete remission would still count as malignancy by ICD-9). Study also examined ASA usage, but does not present specific data on the risk of hemorrhage on ASA with different HEMORR2HAGES scores. There was no comparison to more recently derived bleeding risk scores such as ATRIA or HAS-BLED. A subsequent systemic review and meta-analysis comparing the performance of HAS-BLED, ATRIA and HEMORR2HAGES recommended HAS-BLED for the assessment of atrial fibrillation patients’ major bleeding risk. The analysis found that HEMORR2HAGES had a higher diagnostic accuracy, but considered it difficult to use due to its complexity. Combines components from several other previously validated bleeding risk scores into one. Risks and benefits of anticoagulation should be carefully considered in ALL patients prior to initiating therapy. Other risk stratification scores such as HAS-BLED or ATRIA should also be taken into consideration prior to starting anticoagulation. Alternative options should often be considered in patients with high-risk of major bleeding events in need of anticoagulation. One meta analysis (see references, below) specifically recommends using the HAS-BLED Score over the HEMORR2HAGES Score because of the former's greater sensitivity (the latter, however, did have better specificity). Gage BF, Yan Y, Milligan PE, et al. Clinical classification schemes for predicting hemorrhage: results from the National Registry of Atrial Fibrillation. Am Heart J 2006; 151:713-9. 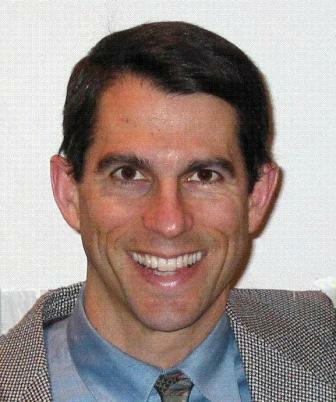 Brian F. Gage, MD, MSc, is a professor of medicine at Washington University in St. Louis where he teaches Designing Outcomes & Clinical (DOC) Research and practices at Barnes-Jewish Hospital, where he directs the Clinical-Scientist Teaching And Research (C-STAR) program for medical residents. He directs the Washington University Fellowship in General Medical Sciences (GMS). Dr. Gage studies antithrombotic therapy and thrombosis, including cardioembolic stroke.